Psalm 116:15 "Precious in the sight of the Lord is the death of His saints". Evander Samuel Simpson III was called home to heaven on Sunday, November 26, 2017, after a long and courageous battle with Lewy Body Dementia. Sam was born on January 15, 1943 in Sampson County, North Carolina, the only child of the late Evander Samuel Simpson II, and the late Ethel Butler Simpson. He was raised in Smithfield, North Carolina where he excelled in academics and athletics. He graduated from the University of North Carolina at Chapel Hill and was a member of the Alpha Tau Omega Fraternity and Order of the Gorgon's Head Lodge. After graduation, Sam moved to New York City to work with Bache & Company before returning to Raleigh to begin a lifelong career in real estate. In January, 1975, Sam co-founded Simpson-Underwood Realty with his partner and best friend, Harrison "Speck" Underwood. Speck and Sam created a company that reflected their values and commitment to each other. Their "handshake partnership" thrived over the next 40 years eventually becoming York, Simpson, Underwood, Berkshire Hathaway Home Services. Sam was an active member of the Raleigh community, putting his belief in service to practice. Sam served on the Board of Directors of North State Bank, Tammy Lynn Home, The Boys Club, Raleigh Rescue Mission, and The Country Club of North Carolina. 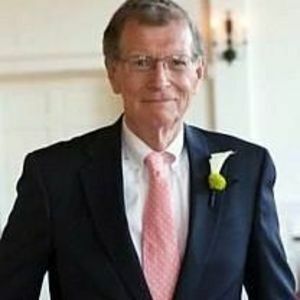 He was President of the Board of Directors of Carolina Country Club and enjoyed membership in the Sphinx Club, Landfall Club, and was Boys Chairman of the Terpsichorean Club. Sam was a faithful friend; he will be remembered for the many ways he shared his sense of humor and wisdom with his friends and family. He was the friend that would make you laugh the most in times of celebration, as well as the one who would hold you the tightest in times of sorrow. Sam is survived by his wife of 38 years, Deborah Webb Simpson and their 4 children: Blake Simpson Fricks and her husband Wesley of Raleigh; Natalie Simpson Owen and her husband, John of Raleigh; James Frederick Webb Simpson and his wife, Dowd of Charlotte; and Chase Simpson Felmet and her husband, Kyle of Raleigh. Sam is also survived by 2 children from his prior marriage to Camille Broadhurst Simpson: Camille Simpson Galloway and her husband, Jimbo of Winston Salem; Evander Samuel Simpson IV and his wife, Ashley of Greensboro. "Big Sam" was blessed with sixteen grandchildren: Wells, Smith, Dylan, Lila, Nell, Kensey, James, Willow, Winnie, Mercy, Nash, McCabe, Gray, Chandler, Sam, and Isabelle. Sam loved and cherished Debbie, in faith and tenderness, with all his heart and soul. They loved the Lord together and devoted themselves to their family. God blessed Sam's children with the best Dad in the world. He was actively engaged in every aspect of their lives. He treasured waking the family at sunrise, fishing, and spending the day on the water. His legacy is the love he showered on them and demonstrating how to share that love with their own children. The service thanking God for Sam's earthly years and celebrating his eternal life with Jesus will be held at White Memorial Presbyterian Church on Wednesday, November 29th at 2:00 p.m. A private burial will be held in Historic Oakwood Cemetery. In lieu of flowers memorials, may be sent to: Transitions LifeCare, 250 Hospice Circle, Raleigh, North Carolina 27607, and Finding Purpose Ministries 3700 Computer Drive, Suite 340 Raleigh, North Carolina 27609. Brown-Wynne Funeral Home, Saint Mary's St.,Raleigh, is serving the family.